There are up to 20 illegal schools operating across the north-east of England and the Yorkshire and Humber region, Ofsted has revealed. The schools are not registered or following a national curriculum and, in some cases, are teaching intolerant views to children. Inspectors have found literature in some which is misogynistic and homophobic, the watchdog said. 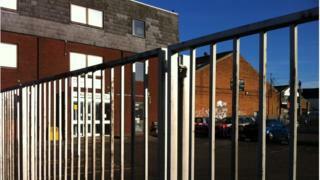 Ofsted regional director Cathy Kirby said she was "worried". "It's not just about the learning materials, it's the condition of the premises, often where they're not really appropriate settings and accommodations to have children educated," she said. However, it was not a "hugely widespread thing in the north east for us to be concerned about", she added. In some cases, the schools catered for parents wanting to home-educate their children, or who preferred them to be schooled in "quite extreme" views of faith, Ms Kirby said. Ofsted does not inspect home education and says "many parents who do that, do that responsibly", she said. "It's about parents possibly who are taking their children out to say they're being home educated but actually using these other premises that are set up illegally to send their children to for some or all of the time," Ms Kirby said. The vast majority of faith schools in the country were "doing a very good job by their children", she stressed. In England, establishments providing full-time education for more than five children have to register as schools. Ofsted raised the issue of illegal schools in 2015 and has since set up a team of inspectors who have investigated 331 suspected of operating outside the regulations. Many provide "alternative provision" for pupils taken out of schools because of their behaviour. Others are linked to faith groups. Ms Kirby said illegal schools should either look to be registered or, if inspectors have concerns, be closed down.